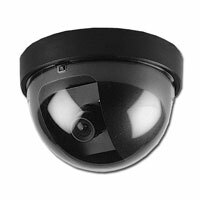 Vandal and weather resistant, dome cameras give coverage for exterior locations. With variable focus and photo leds, zoom and night-time illumination are exacted to homeowners' tastes. 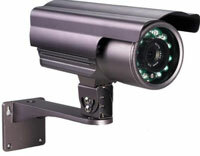 Low profile bullet cameras can be for interior or exterior applications. Smaller in size, bullets can stashed under eaves or in the corner of shops for esthetic needs. Slightly larger bullets also offer night sight and varifocal lenses. Wtih larger hard-drives, DVRS have made recording and reviewing footage of surveillance end user friendly. 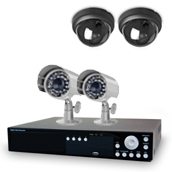 Instantly viewing cameras while still recording is available locally or through the internet. DVRS burn dvds aiding police or security forces in prosecution. 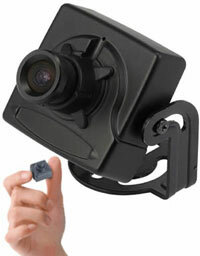 Small in size, mini cameras' covert profile accents CCTV systems discretely. In nanny cam or cash register applications, minis obtain footage without the general public's knowledge.